Just last week, Netflix released an update for the iPhone Netflix app. On September 24, the much-anticipated update was also released for all Android devices running Gingerbread and newer operating systems. The update is available via Google Play. The new version of the application promises a much more immersive experience, similar to the Netflix experience on tablets. Additional titles and galleries are available, more than previously seen on smartphones. The application also boasts a new browse screen, featuring a row of videos that allow the user to continue watching wherever the video was last stopped (on any device utilizing that Netflix account). The Instant Queue and Top 10 list are both available directly below the continue watching bar. The rest of the home screen is comprised of several rows of personalized recommendations. The browse menu presents a huge list of genre galleries. Within the galleries, titles are organized into additional categories. 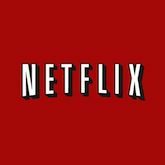 Netflix says this will make it easier for the average user to find appropriate movies or television shows to watch. The update brings with it a children and family gallery, featuring a number of child-appropriate films and shows. Tapping on a title within the application presents all appropriate title information. Double tapping on a title now begins instant playback. Search is always available within the application. Have you tried the new app? Let us know what you think of it below!